Our co-written book, The Hockey Player’s Heart, is now available in audiobook and is performed by Finn Sterling (FYI he’s really good). We will be at the L.A. Times Festival of Books on April 21 and 22. Jeff and I’ll be doing a signing and other fun stuff during that weekend. Jeff reviews the YA novel History is All You Left Me by Adam Sllvera, while I review the romantic comedy Creating Clark by Jason & Ed Gaffney. We also discuss some performances from MCC Theatre’s recent MisCast fundraiser. 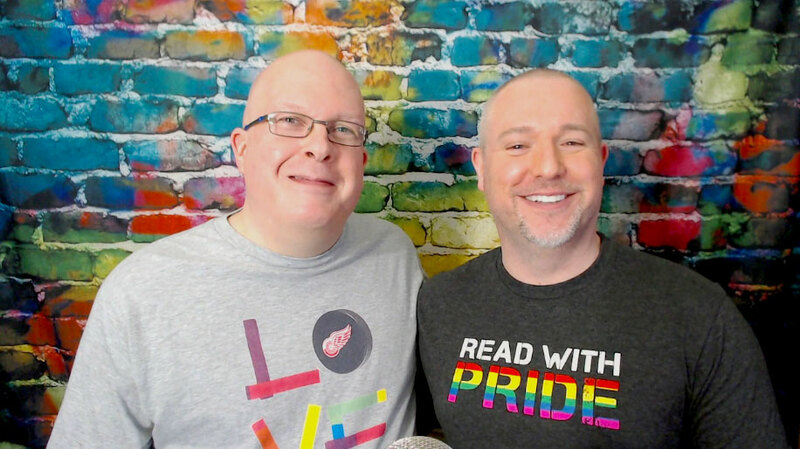 Jessica & Markie from the Top to BOTM Podcast join us to talk about their show, their reading influence and their love of the gay romance genre. For more info, go to BigGayFictionPodcast.com.